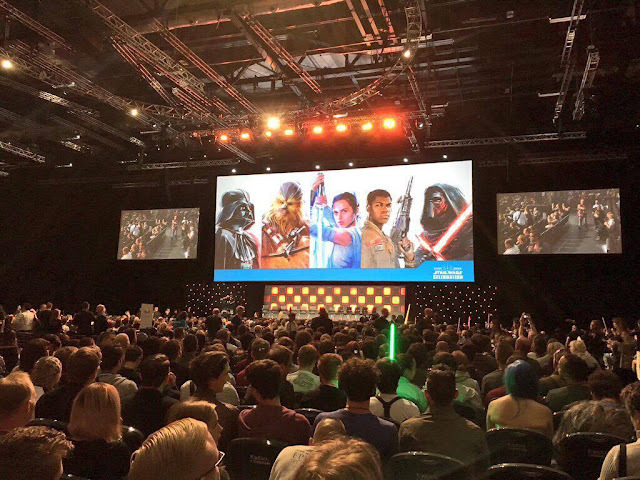 As my first experience at an international convention, Star Wars Celebration Europe was incredible. I had high expectations for this convention because hello- it's all about Star Wars! It really exceeded my wildest dreams in many ways, but just like any convention, there were a few cons along with the many pros. 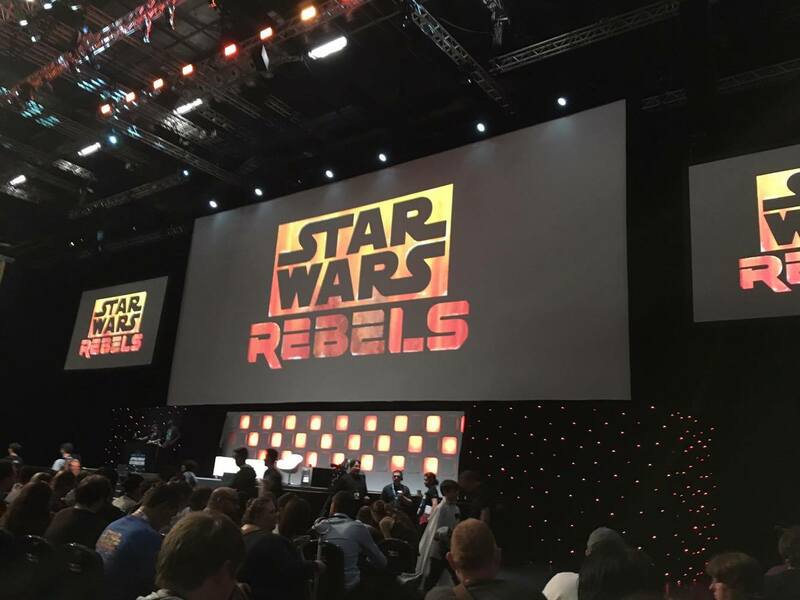 Here's an overview of my thoughts on Star Wars Celebration Europe. As for the convention atmosphere, I have nothing but good things to say. The ExCeL London Convention Center was laid out in a way that was easy to navigate. The center is just a straight shot from the north side to south side entrances with exhibit halls and panel halls on each side of the main stretch. There was no need to go upstairs or downstairs for any of the panels or convention features. 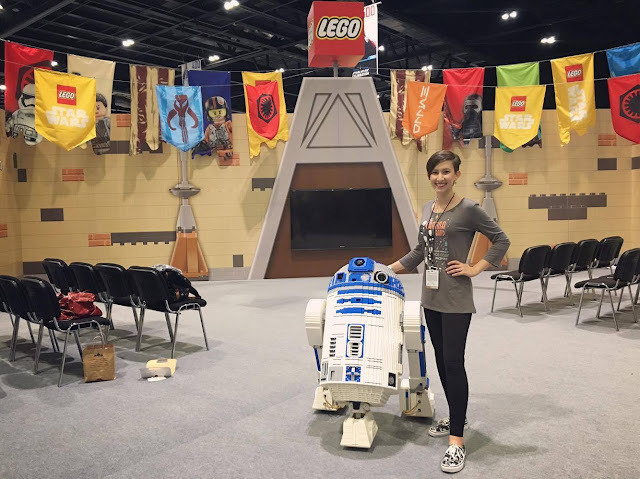 While most conventions have one large exhibit hall with all of the merchandise booths and artist alley in one room, SWCE had the exhibit hall divided into two rooms, which I found worked great for dividing the massive crowds and solving the typical crowded entry/exit point in the hall. The ExCeL Center had a variety of food vendors down the main hall leading from the north and south entrances. This was wonderful because it provided a lot more options for breakfast and lunch as opposed to the limited choices at the food court inside the exhibit hall. Plus, the food and drinks were not crazy expensive so that's a huge bonus. The only downside in the realm of the food/water situation was that the convention center didn't have a single water fountain. Refilling my bottle became an issue so I ended up just buying water bottles when I needed them, which was a tiny drawback. The final thing that I have to say about the overall atmosphere is the queueing situation. This was a great change to Celebration because it was so well organized. In past years of attending Celebration, I've had to sleep in the queue hall overnight in order to get a wristband for an upcoming panel. This time around, you could get there at 6am as soon as they started handing out wristbands and still get a guaranteed spot in the panel hall. Inside the large queue hall, there were four sections with roped off line systems for the four biggest panels of the day. Also inside the room was a large screen with information about the status of the panel wristbands. For example, you could walk in at any time of the day and see if there were still wristbands for the panel of your choice or if they were all given out. My only suggestion for future Celebrations would be to have the wristband status in sync with the official Star Wars Celebration app. It would be great to view that information before leaving your hotel for the day to make sure they weren't already given out before you arrived at the convention. 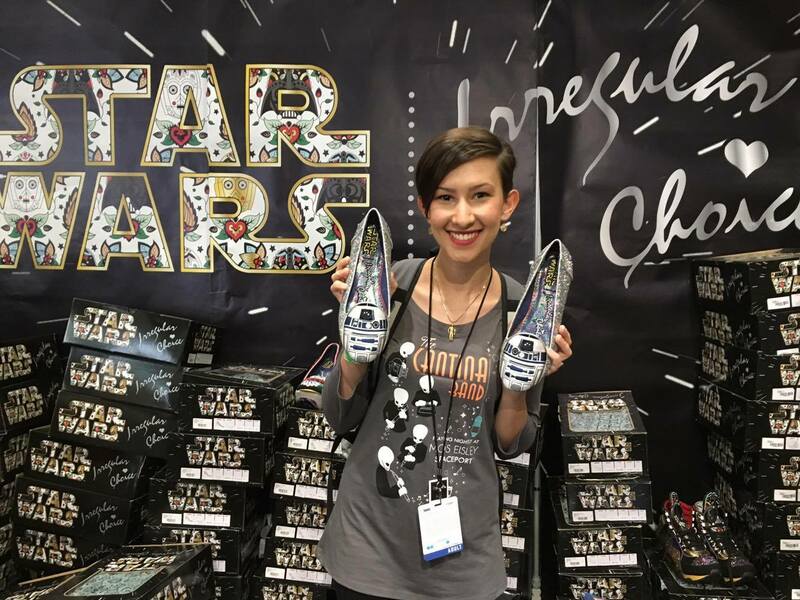 There were tons of panels at SWCE that covered everything from the latest news on Rogue One to how to become a Star Wars collector. I attended a handful of panels, but I'm only going to touch upon three of them here. 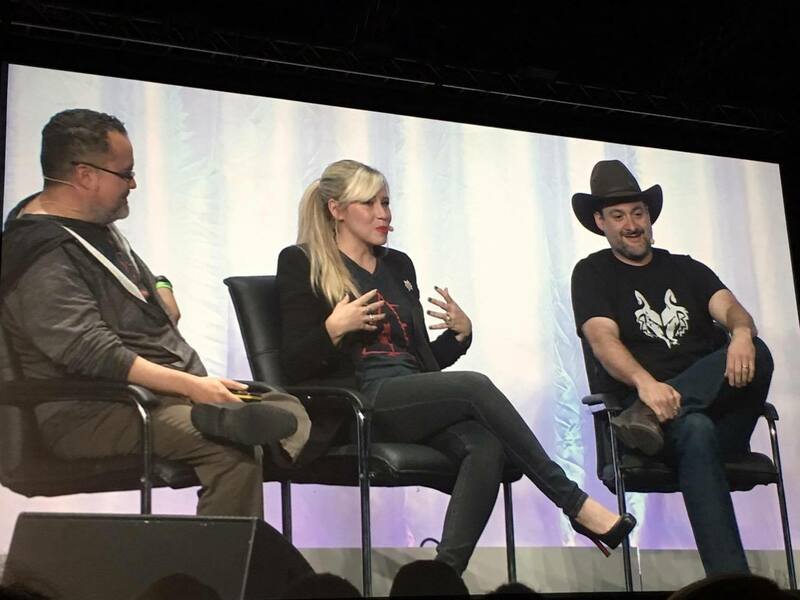 Untold Tales of Ahsoka- When Pablo Hildago, Dave Filoni, and Ashley Eckstein are chatting about Ahsoka Tano with host David Collins, you really can't go wrong. I will admit, when Ahsoka Tano was introduced to the world in Star Wars: The Clone Wars, I really wasn't a big fan of her character. However, as Ahsoka grew older and eventually appeared in Star Wars: Rebels, I found myself loving her more and more with each episode. In this panel, Hildago and Filoni shared stories and sketches of Ahsoka that were supposed to be told in The Clone Wars, until the show was cancelled. They also played an unfinished clip of Ahsoka with her so called "boyfriend" Nix. My favorite moment was when Filoni showed the audience a sketch of Ahsoka with the 501st clones, who had repainted their armor to resemble her coloring and face tattoos. Heartstrings were definitely tugged on from beginning to end in the Untold Tales of Ahsoka. Rogue One- Okay guys, here's where I'm going to sound a little negative. While the Rogue One panel was great and it was cool to see in person, I was underwhelmed. When Gwendoline Christie walked out on stage as the panel host, I leapt out of my chair and started screaming. I thought it would only get better from there. Unfortunately, it did not. I thought that the cast wasn't as charming as the new faces of The Force Awakens so I had a difficult time getting excited about them on stage. A behind the scenes "sizzle" reel was played for the audience, which was awesome, but it froze halfway through and ended up diminishing the thrill of the clip when it was played a second time around. Gwendoline read off her que cards far too much and one of the stars slipped a spoiler on stage- I won't say what it was. Overall though, I was grateful for the experience and the exclusive trailer that only SWCE attendees were allowed to see. The underwhelmed feelings may have been my fault because I had built it up in my head to be as goose-bump inducing as The Force Awakens panel from SWCA. Star Wars Rebels: Season Three- The best panel I've EVER attended, which is saying a lot because I was one of the 5,000 people who saw The Force Awakens panel in person at SWCA last year. Dave Filoni, Tiya Sircar, and Sam Witwer were hilarious and entertaining while divulging details about the upcoming season of Rebels. Attendees of the panel were able to view the season three trailer along with an exclusive screening of the season premiere. I loved everything about this panel, but my favorite part was the crowd reaction to Grand Admiral Thrawn's debut in the new trailer. I've grown up hearing about Thrawn and while I'm not the biggest Thrawn fanatic, I really appreciated the fact that this character was brought back into Star Wars canon for the fans. Going into this panel, I expected to see a trailer and the season premiere, but the great conversation between host Warwick Davis and the panelists was just the cherry on top of an awesome Star Wars Rebels sundae. One of my favorite things to do at Celebration is shop. 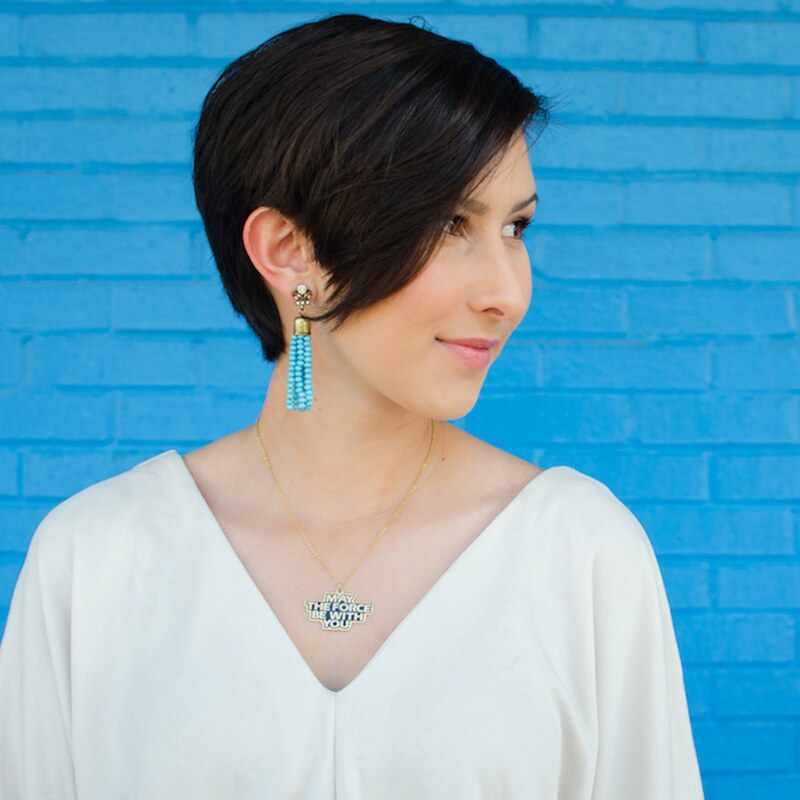 There are always so many different vendors with all sorts of products ranging from vintage to brand new. The official Star Wars Celebration Store knocked it out of the park with their merchandise selection this year. They had all sorts of T-shirts for men, women, and children. There were a couple of high-quality canvas tote bags, exclusive posters, and a crowd favorite- the Lothcat plushies. They also had sets of emoji pins that featured cute Star Wars characters. Most of these pins came in blind packs but some of the pins came as sets of four that you could see before purchasing. I had a great time buying some of the blind packs and trading with other fans and volunteers at SWCE to get the characters I wanted. As far as the exhibit hall merchandise goes, I was shocked at what a great variety they had. 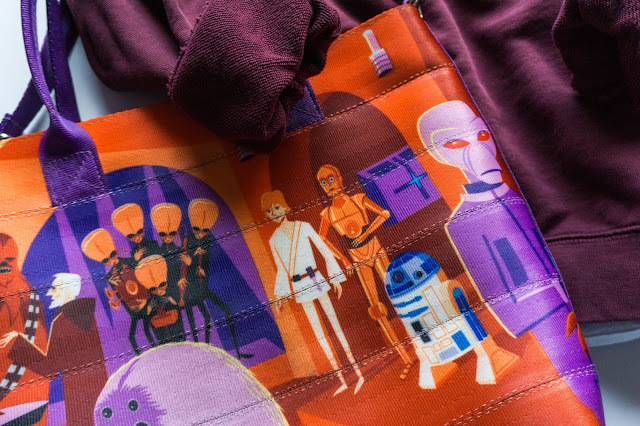 I ended up buying eleven shirts at Celebration, a vintage C-3PO necklace, and some exclusive artwork featuring my favorite aliens from the Mos Eisley cantina. The only downside to shopping was that the official Celebration store always had a long line to get in. If you were willing to wait though, it was definitely worth the time. Star Wars Celebration Europe as a whole was an incredible experience. I had a great time meeting fans from parts of the world that I had never seen before and buying products that you could only find at SWCE. It was well-organized and fun for Star Wars fans of all ages. I would definitely attend an international Celebration again in the future! Celebration is special since it's engaged entirely on Star Wars. I trust individuals going in are going to film the meetings, I truly need to hear Gareth Edwards. In any case, there is no official footage availabe from a year ago, just a few bits, and the others are amateur.I wish they would simply post all of them on youtube directly after. It appears like at whatever time something happens live it takes a week to think that its on the web, and afterward it's lone a grainy video on dailymotion or something. There are various online writing services that offer school papers writing help, however not every one of them can meet your guidelines. To get best essay writing service check this site.